Shingles, a reactivated form of the chickenpox virus, is a painful rash that afflicts many people decades after the initial chickenpox infection. Now, we have data that shingles increase heart attacks (myocardial infarction) and strokes. This is more evidence that we need to end chickenpox with the chickenpox vaccine, and reduce the risk of shingles in those who have had chickenpox with the shingles vaccine. In addition to preventing the disease, the flu vaccination may have a more important benefit to those who get the shot. Dr. Jacob Udell, a cardiologist at Women’s College Hospital and the University of Toronto, looked at published clinical trials on flu vaccinations, dating back to the 1960s, examining the vaccine’s effect on cardiovascular events. Dr. Udell presented his meta-review results at the 2012 Canadian Cardiovascular Congress on October 28 2012. An approximate 50 per cent reduction in the risk of a major cardiac event (heart attack, stroke, or cardiac death) compared with placebo after one year of follow-up. A similar trend was seen for the flu vaccine reducing death from any cause (approximately 40 per cent). The influenza vaccine reduced cardiovascular events and cardiovascular death in people with or without heart disease. Influenza vaccine reduced non-fatal CV events and may reduce sudden CV death in patients with and without CVD. However, the very low number of observed CV events and important design limitations among these RCTs strongly limit their validity and make it challenging to draw a definitive conclusion. A large, adequately powered, international multicenter RCT testing the efficacy of influenza vaccine to reduce incident and recurrent CV events is prudent to confirm these findings. According to a report by Jennifer Nelson at NBC News, “The flu vaccine could be an important way to maintain heart health and ward off strokes and heart attacks, the researchers said.” Nelson also quoted Dr. Udell as proclaiming that “perhaps that the flu vaccine is a heart vaccine.” Well, maybe that’s overstating the case, but who knows. “Udell said it may be that when people develop heart disease, some factor ‘tips them over the edge,’ such as plaque clogging arteries, or lower levels of oxygen as a result of the flu.” This is entirely possible, since those with atherosclerosis do have reduced blood flow to heart muscle. And the flu, being much more dangerous than most people believe, could just push someone over the line from having just enough oxygen for their heart muscle, to not enough. “Dr. Sarah Samaan, a cardiologist and director of the Women’s Cardiovascular Institute at Baylor Heart Hospital in Plano, Texas, said the key to the link may be in reducing inflammation. When someone gets the flu, blood levels of inflammatory substances rise, and inflammation of the blood vessels can trigger heart attacks. ‘This happens because inflammation can make cholesterol plaques in the blood vessels unstable,’ Samaan explained. Unstable plaques are more likely to develop tiny cracks, which can cause blood clots to form. 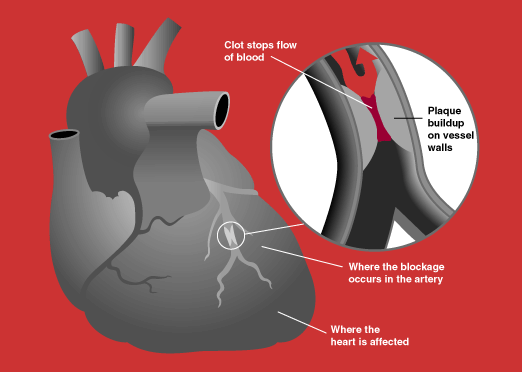 Such clots can block blood flow within arteries, causing a heart attack (if the blood vessel supplies the heart) or a stroke (if the artery feeds the brain), she said.” Again, entirely plausible. Now, a couple of caveats about this study. First, it’s presented at a conference. Second, it’s not peer-reviewed. I’ll assume that it’s good work, but until it’s peer-reviewed and published in a great journal, it’s at the level of highly provocative. And it’s intensely interesting. But the great thing about meta-reviews is that they are easily repeated, and easily criticized if there’s a problem with the statistical analysis, so in light of that, I have high confidence in the quality of these results. The 50% reduction in cardiovascular events is both clinically relevant, and may be higher than what will be seen in future randomized trials. But even if it’s 40%, 30%, or even 10%, that’s an amazing benefit of the flu vaccine for individuals at risk for cardiovascular events. The thing is that although a lot of people know that they are at risk, they have diabetes or are overweight, many people are unaware of their cardiovascular risks. They may have untreated hypertension. Or atrial fibrillations. Or any number of diseases where the risks of cardiovascular events are high, and can reduce the risk by a significant amount just by a simple and safe flu vaccination. And don’t listen to those myths about the flu vaccine, they just aren’t true. No, they aren’t true. Vaccines save lives. And they might keep you from getting a heart attack! J.A. Udell, M.E. Farkouh, D.L. Bhatt, C.P. Cannon. 187 Influenza Vaccination and Reduction of Cardiovascular Events-A Systematic Review and Meta-Analysis. Canadian Journal of Cardiology, Volume 28, Issue 5, Supplement , Page S161, September 2012. doi:10.1016/j.cjca.2012.07.187. Nelson J. Flu vaccine may protect you from a heart attack. NBC News. October 28, 2012. Rowan K. 6 Flu Vaccine Myths. MyHealthNewsDaily.com. October 26, 2012. Acute myocardial infarctions (AMI), commonly known as heart attacks, are responsible for about 12.6% of deaths worldwide, according to The World Health Report 2004 – Changing History. In the United States, about 16.6% of those who have heart attacks die within 30 days of the attack. Outside of AIDS and a few infectious diseases, AMI is the biggest killer of adults.